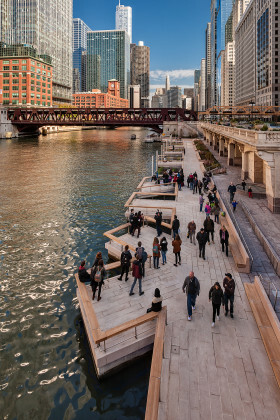 The goal of embracing the river as a recreational amenity seemed impossible years ago given the river's high levels of pollution. But today that vision is becoming a reality. 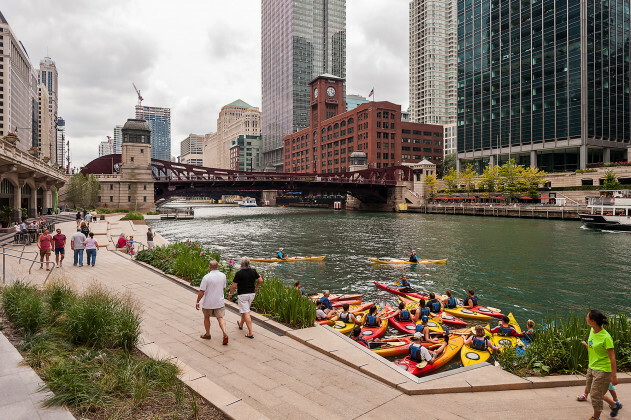 Recent improvements in river water quality and the increased intensity of public recreational use signal growing life along the river, demanding new connections to the water's edge. 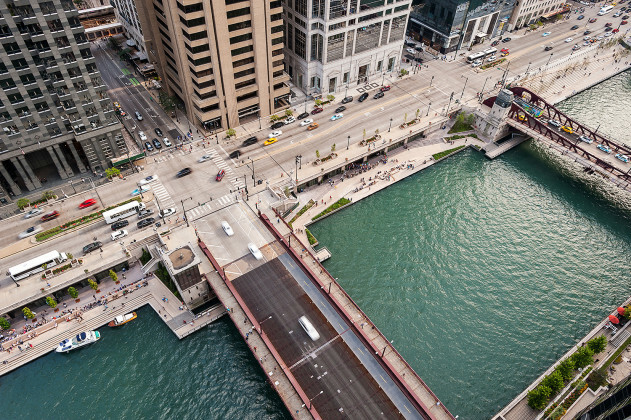 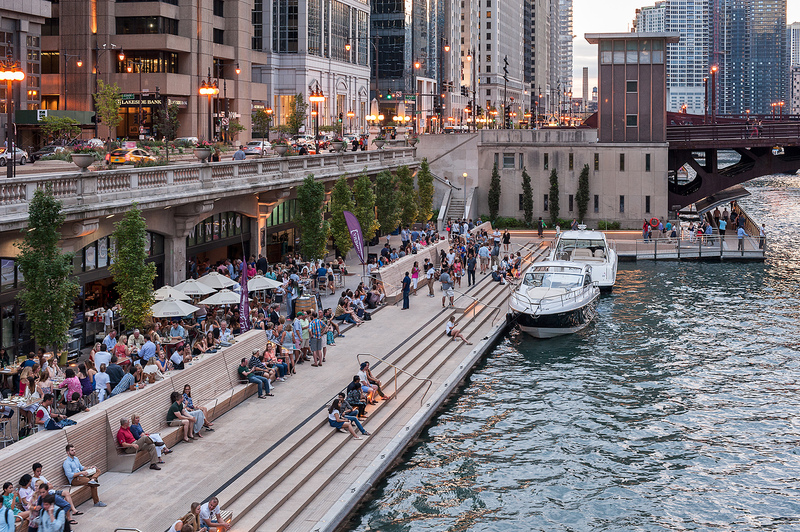 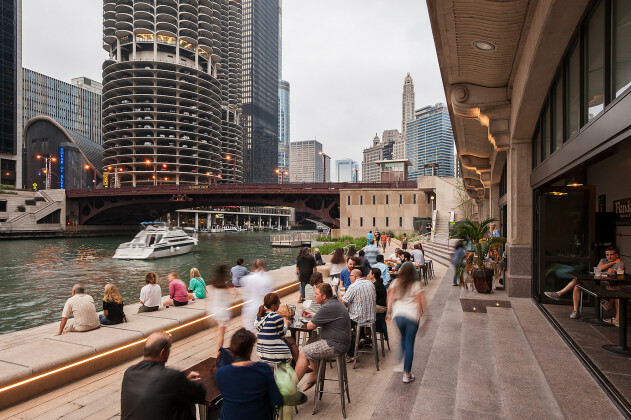 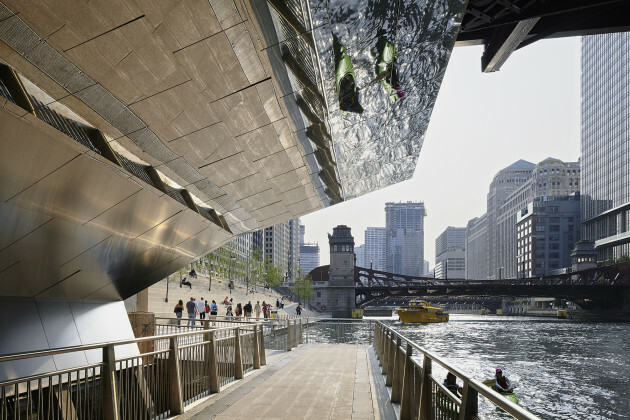 Accordingly, the Chicago Department of Transportation and Ross Barney Architects led Phase One of the Riverwalk, an initial segment that includes Veteran’s Memorial Plaza and the Bridgehouse Museum Plaza. 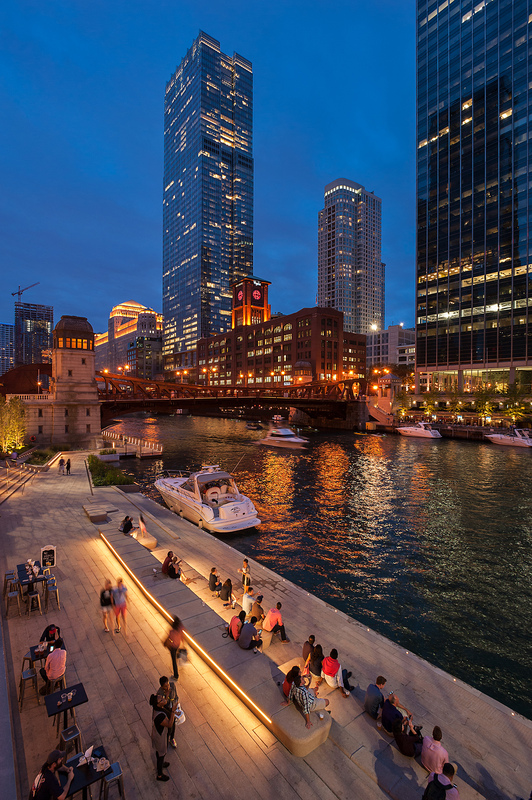 In 2012, the team of Sasaki, Ross Barney Architects, Alfred Benesch Engineers, and Jacobs/Ryan Associates, supported by technical consultants, was tasked with completing the vision for Phases Two and Three: six blocks between State Street and Lake Street. 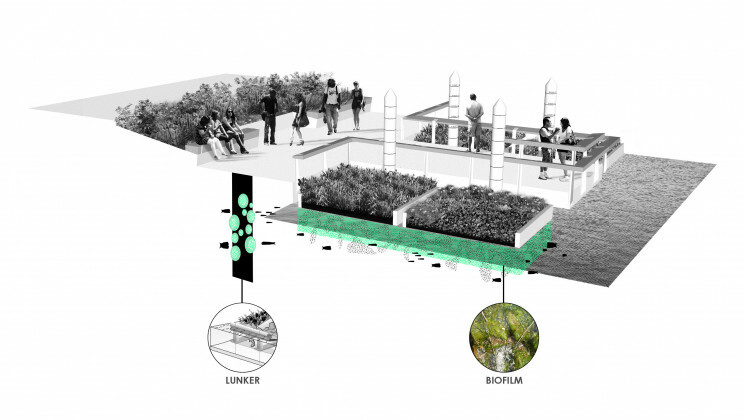 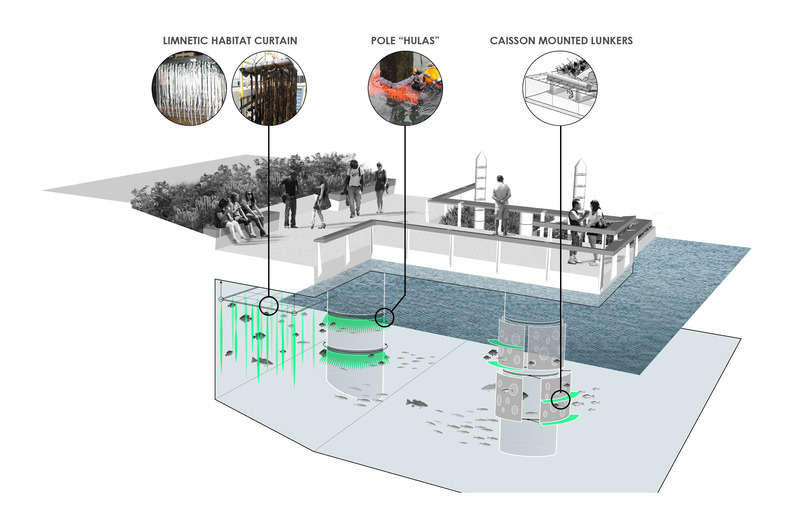 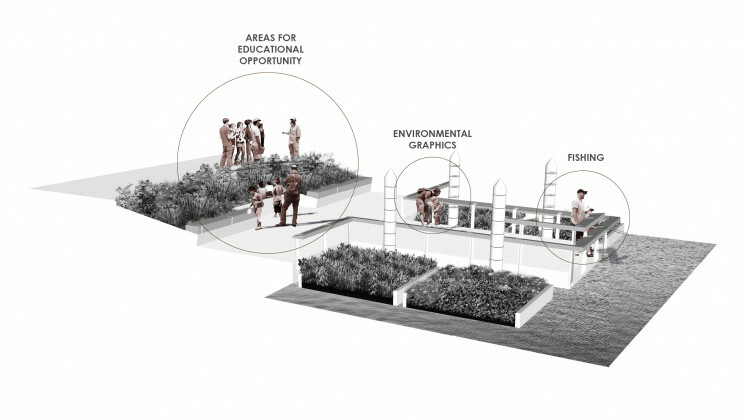 Building off the previous studies of the river, the team’s plans provide a pedestrian connection along the river between the lake and the river’s confluence. 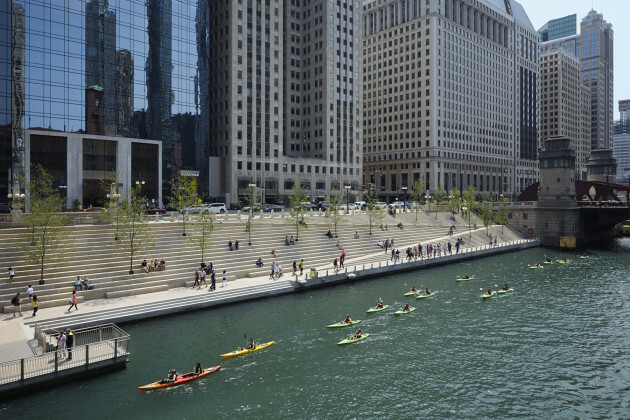 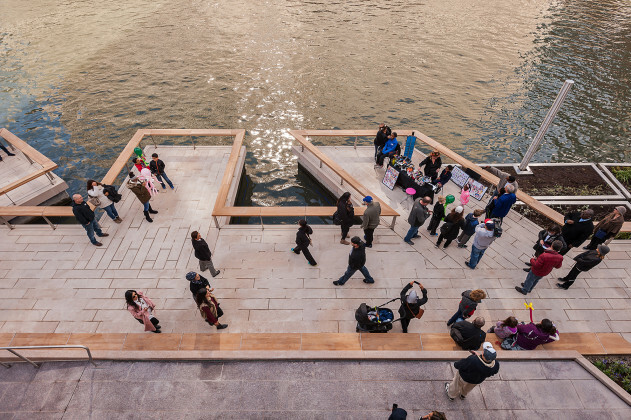 The River Theater: A sculptural staircase linking Upper Wacker and the Riverwalk offers pedestrian connectivity to the water’s edge and seating, while trees provide greenery and shade. 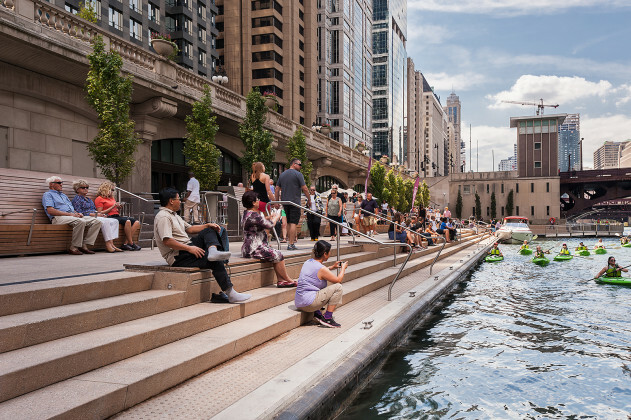 The Water Plaza: A water feature offers an opportunity for children and families to engage with water at the river’s edge. 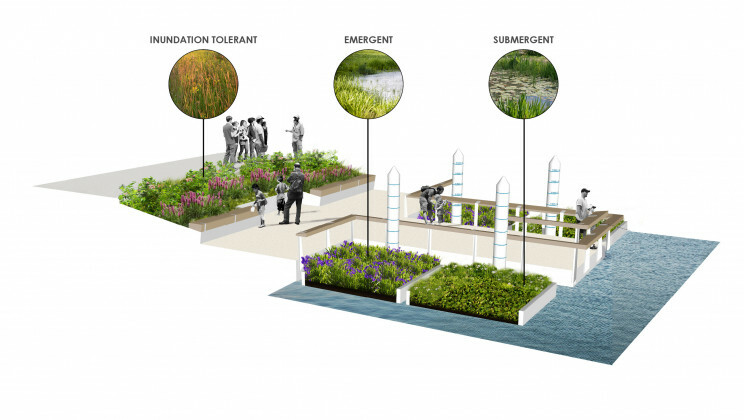 The Jetty: A series of piers and floating wetland gardens offers an interactive learning environment about the ecology of the river, including opportunities for fishing and identifying native plants. The Boardwalk: An accessible walkway and new marine edge creates continuous access to Lake Street and sets the scene for future development in this critical space at the confluence. The first three blocks, from State Street to LaSalle Street, were completed and opened to the public in May, 2015. The construction of the next three blocks began in summer 2015 and was completed in October 2016.